IBM and Microsoft formally sign an contract whereby Microsoft will create an operating system for the in-development IBM PC. During the summer of 1980, IBM was originally interested in licensing the popular CP/M operating system, but the inability to come to an agreement with Digital Research led IBM to ask Microsoft if they could develop an operating system similar to CP/M. Microsoft was already going to work with IBM to deliver their BASIC programming language for the IBM PC, but they did not have an operating system. However, Microsoft knew that a small company named Seattle Computer Products had developed an operating system similar to CP/M called QDOS, for Quick-and-Dirty Operating System. 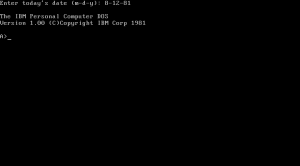 Microsoft suggested to IBM that QDOS could work as the IBM PC’s operating system. IBM asked Microsoft to license and further develop the operating system, which led to the formal contract on November 6, 1980. After the contract was signed, in December 1980 Microsoft would license the QDOS operating system to begin development of the IBM PC version. In July of 1981, just weeks before the IBM PC would ship, Microsoft purchased full rights from SCP for what was now called 86-DOS. 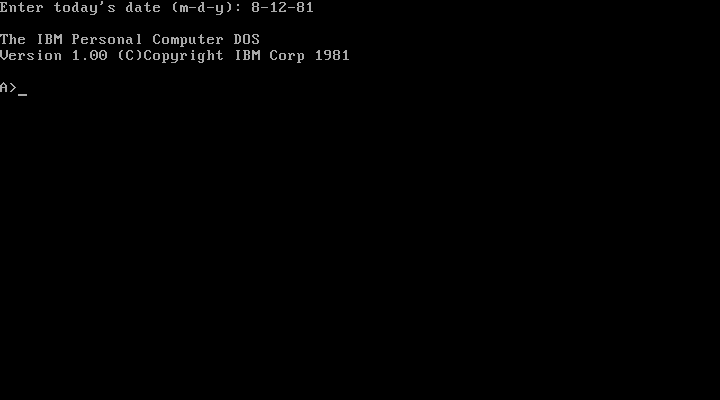 IBM PC-DOS was the name of the operating system that would ship on the IBM PC, but it was Microsoft that wholly developed the operating system after acquiring it from SCP. Microsoft shrewdly included a clause in the agreement that allowed them to sell the operating system to other companies under the name MS-DOS. It was this clause that changed the course of technology history, opening the door for Microsoft to become the dominant technology company of the PC era. Microsoft seemed to understand that by controlling the operating system, the underlying hardware became less relevant. IBM obviously did not consider this concept, nor did they foresee that companies would be able to successfully clone their hardware platform. Once companies were able to clone the hardware, they needed an operating system. Microsoft was more than happy to provide them with that operating system, which by design was completely compatible with IBM’s PC-DOS. Once IBM lost control of the platform they created, power shifted to the one major commonality between the IBM-compatible clones: Microsoft’s operating system. It was IBM’s name that pushed the IBM PC into prominence, but it was the combination of hardware cloning and Microsoft licensing the operating system that created the dominant platform of the PC era, crushing nearly all competing personal computer platforms in the process. Without this seemingly minor clause in this pivotal contract, the history of the PC era could have been quite different than it was.